In our part number system, 4 Pins code "VAT", but for 2 Pins, just write "Pitch size" only to show its code. For example, two pins with Pitch size 10mm, it can write code"100". Acording to customer's design, we can produce very special parameter for Snap in E-caps, many big Power supplier, Power meter, amplifier....manufacture approved our high quality. Welcome to check our products link: http://www.jbcapacitors.com/Aluminum-Electrolytic-Capacitors/ for more products information. Are you looking for good supplier for Snap-in Aluminum electrolytic capacitors? 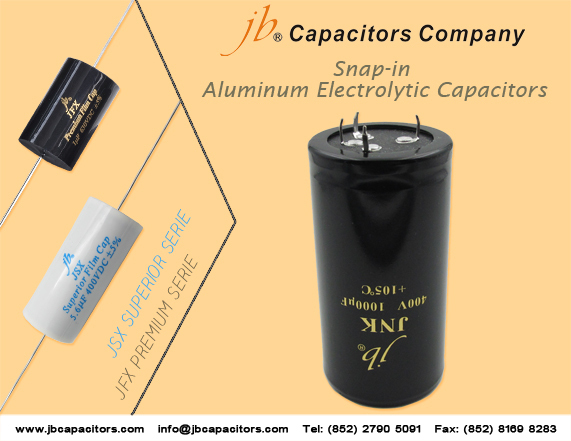 jb capacitors will be your best choice! Now we have very good offer for Snap-in Aluminum electrolytic capacitors, good prices, short delivery and reliable quality. Based on good technology,our quality of large can e-cap is the top high in China. Currently mainly promote below for series, please send us your request for good prices. 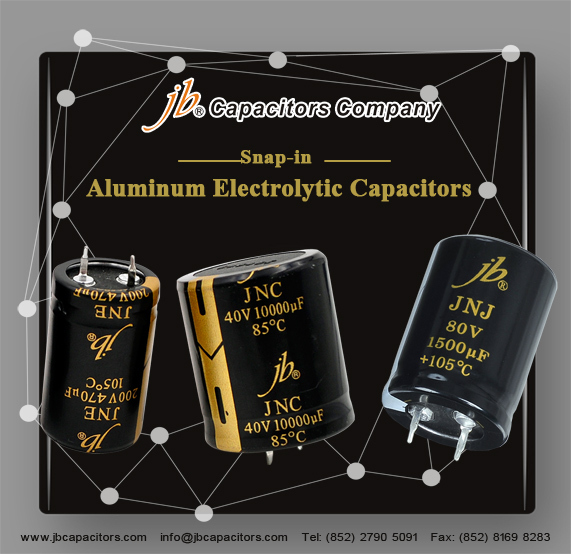 Aluminum Electrolytic Capacitor are connected in series, back-to-back with the positive terminals or the negative terminals connected, the resulting single capacitor is a non-polar capacitor with half the capacitance. The two capacitors rectify the applied voltage and act as if they had been bypassed by diodes. When voltage is applied, the correct-polarity capacitor gets the full voltage. In non-polar aluminum electrolytic capacitors and motor-start aluminum electrolytic capacitors a second anode foil substitutes for the cathode foil to achieve a non-polar capacitor in a single case. jb Capacitors markets Aluminum Electrolytic Capacitors, including JNC, JNE ,JNG ,JNJ , JNK , JMJ ……The following Picture shows our Aluminum Electrolytic Capacitors. 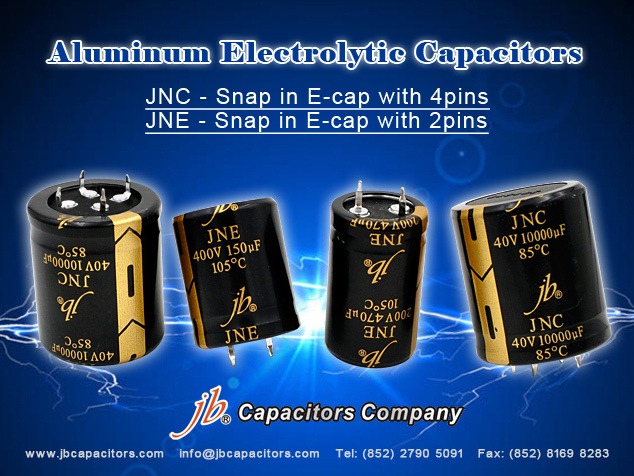 For the detailed information ,We introduced in our website www.jbcapacitors.com .If necessary, you can contact our sales directly. I am sure you can get your satisfaction.